Chess has a long and illustrious history in gaming, with several classic examples from the likes of Colossus Chess to Battle Chess and many in between. 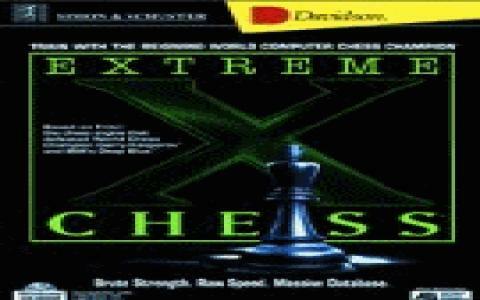 However, Extreme Chess is perhaps the best game in the genre and offers both novice and master players plenty of reasons to pick it up. In many ways, it's very much a traditional chess game and offers most of the usual options that are found in such a game. However, it's the additions which make it stand out from the crowd and which will be of most interest. Options such as the ability to tweak the playstyle of both the computer and yourself or to study opening moves are extremely welcoming and help tailor the game to how you want to play. There's also a highly useful tutorial system which should help you improve your game as well as a massive library of historical games to study and learn from. You can also get your game analysed by the computer and it's this aspect which is perhaps the most impressive and the computer's capabilities really are quite superb. As far as chess games go, this really is about the best you can hope for. It lacks the fancy moves of novelty games like Battle Chess but if you want a real game to practice with, this is as good as it gets. The computer puts up a good fight no matter what your skill level and if you're serious about your game, then you can't do much better than learn from this one. The range of options gives you enough to play around with for some time but it's the sheer quality of what's goind on under the hood that make this a must play for chess fans.